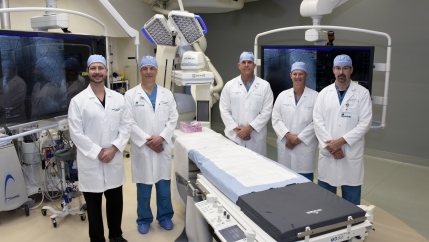 At McLeod Health, our team of heart surgeons perform “open heart” surgical procedures to either correct an acquired defect (such as blockages in the coronary arteries) or congenital defects (heart problems appearing at birth). 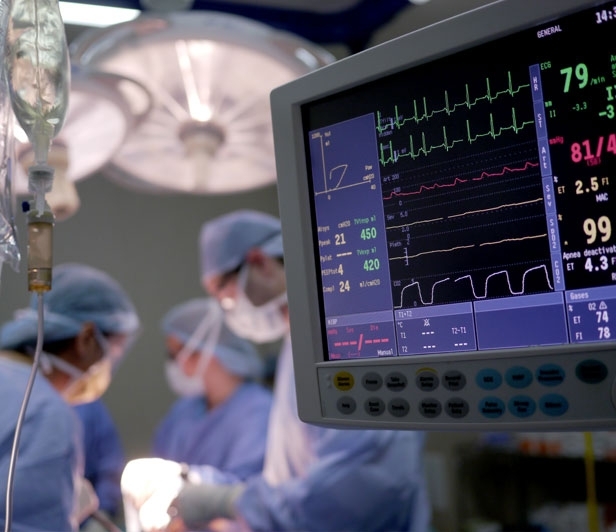 During surgery they use the latest techniques in heart valve repair/replacement, repair erratic heart rhythms, and perform heart bypass surgery. Yet, their expertise extends beyond the heart, because our specialists are also board certified for thoracic surgery — dealing with the chest area and lungs. 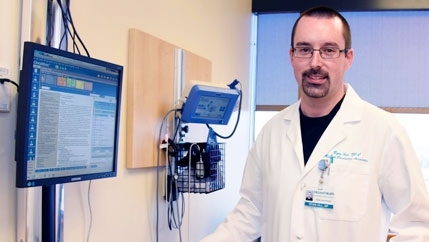 Transcatheter Aortic Valve Replacement (TAVR), a new minimally invasive procedure being performed at McLeod Regional Medical Center, allows physicians to replace a patient’s diseased or damaged heart valve without removing the old valve. For patients whose health cannot withstand the stress of an open heart procedure the TAVR procedure may be an option. Often, patients who undergo the TAVR procedure have other medical conditions that make them a better candidate for this type of surgery. TAVR is performed similar to a heart catheterization. A minimally invasive procedure, the physician inserts a catheter, a long flexible thin tube with the artificial valve, through a small incision in an artery in the leg, then guides it to the heart using X-ray imaging. The valve is precisely positioned across the diseased valve. The new valve is then released and starts functioning immediately. The old valve provides the foundation to hold the new valve in place. 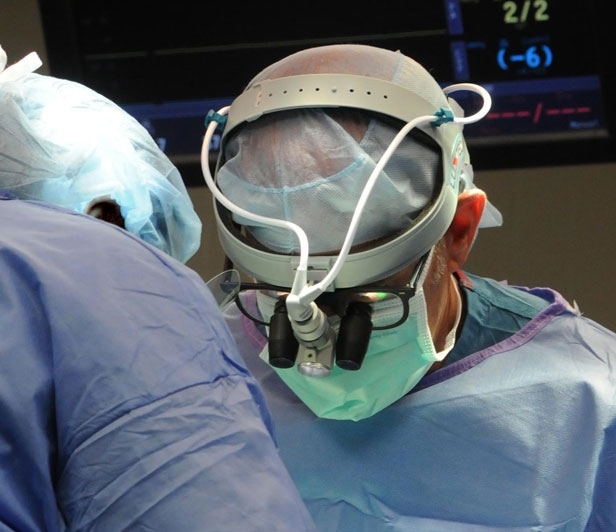 For patients with atrial fibrillation who are sensitive to medication and blood thinner treatments, or their ablation procedure was unsuccessful, they may be considered a potential candidate for Convergent, a procedure available at McLeod Regional Medical Center that combines the best aspects of the surgical approach to atrial fibrillation with the Electrophysiologist’s ablation technique. During the Convergent procedure, the Cardiothoracic Surgeon performs a minimally invasive approach to ablate (destroy), the tissues on the back of the heart. An Electrophysiologist then performs ablations on the inside and front portions of the heart. By combining the two techniques it produces a much more reliable result for the patient and a potential way for them to no longer need their medications and/or blood thinners. 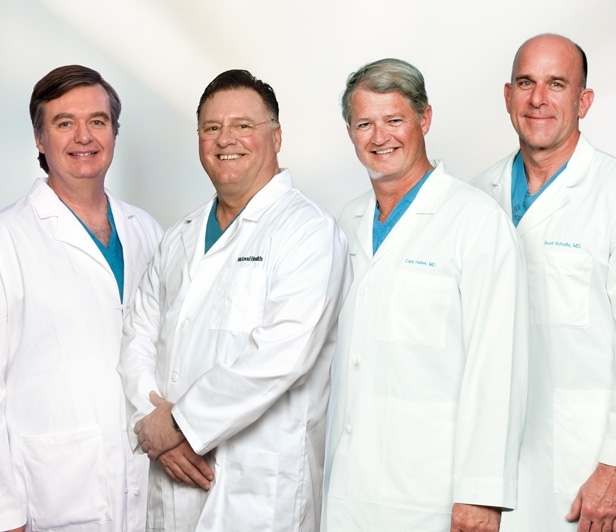 Questions on the Convergent procedure may be directed to McLeod Cardiology Associates at (843) 667-1891. To eliminate the need for multiple appointments with different specialties, McLeod heart valve clinics in Florence enable patients to meet at a single session with a team of specialists, including cardiologists and surgeons. After a series of tests, this cardiac team will talk with the patient about follow-up and treatment. Your physicians can refer you for an appointment by calling (843) 777-8258. 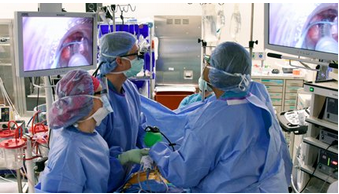 McLeod Thoracic Surgery services treat diseases of the lung and esophagus including lung cancer. Our McLeod Thoracic Surgeon Dr. Wayne Holley, is the areas only thoracic surgeon with robotic-assisted surgical training. Robotic-assisted surgery, a form of minimally-invasive surgery, allows the surgeon to perform many types of complex procedures with more precision, flexibility and control than traditional techniques offer. Thoracic robotic-assisted surgery also allows the surgeon to reach the lungs without spreading the ribs. 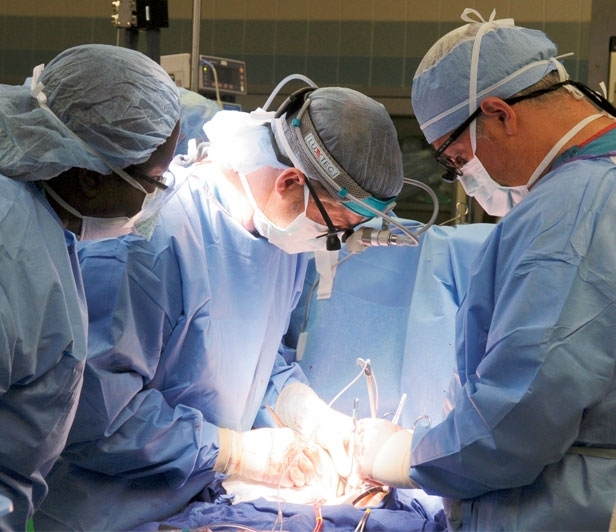 Minimally invasive thoracic surgery produces better outcomes, much less pain, better staging of lung cancer, fewer post-operative complications and a two-day hospitalization. 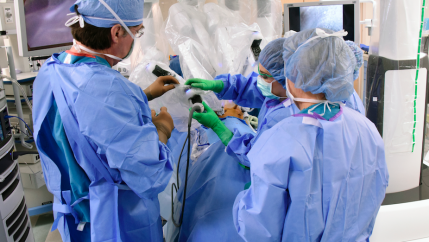 Dr. Holley has robotic expertise in the following procedures: Lobectomy, Wedge Resection, Esophagectomy, Thymectomy, Lymph Node Dissection, and Chest Wall Resection.